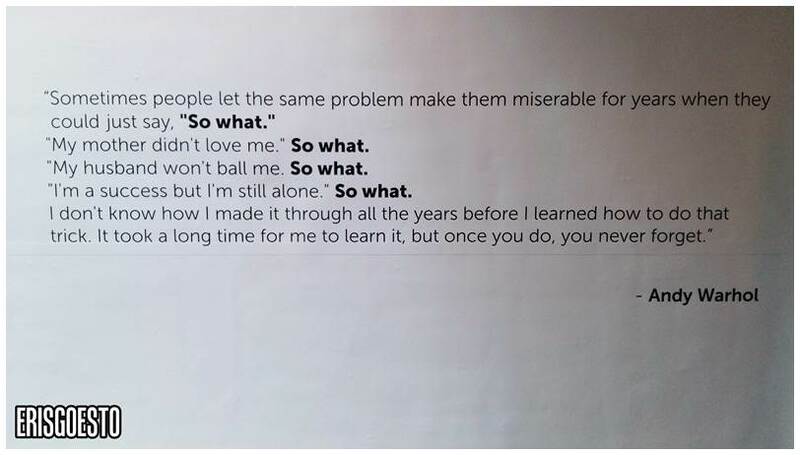 This post is a bit overdue, but I thought I’d share it with you guys anyway. Turns out that The Slate, which is The Row’s exhibition/art space, was having an exhibition on Andy Warhol, the world-renowned American artist. 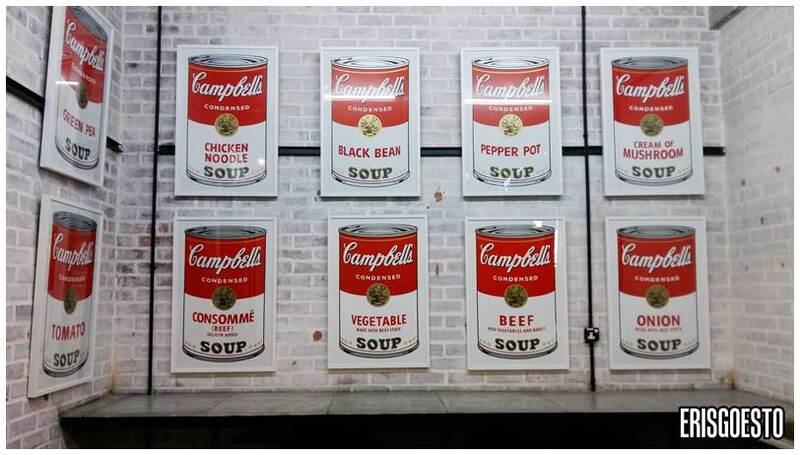 I think most of us would have seen his work, especially the colourful pop art series, at some point in our lives. 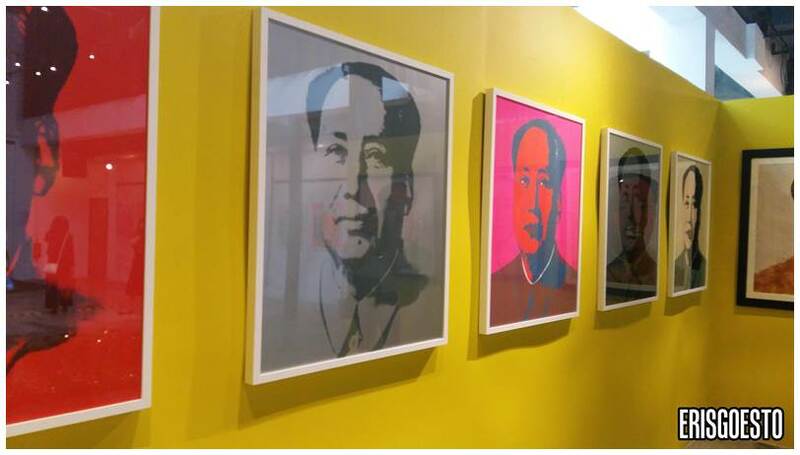 The exhibition, dubbed Andy Warhol: Social Circus, housed 50 pieces of work from his illustrious career – from portraits of Marilyn Monroe and Mao Zedong to his signature ‘Campbell Soup’ cans. 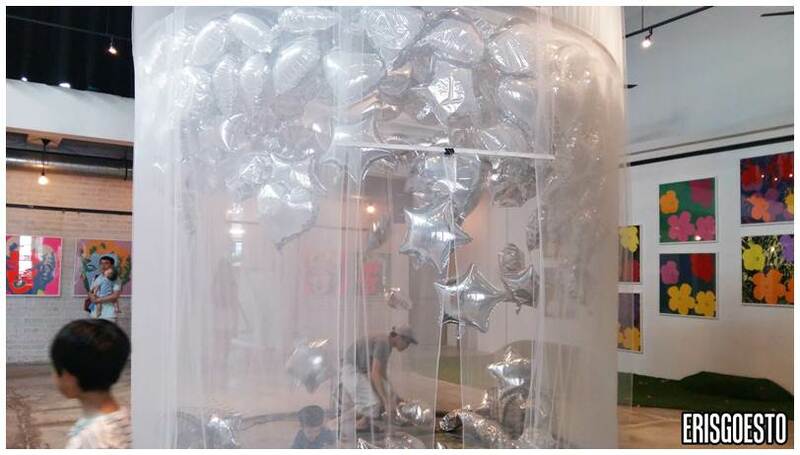 In the middle of a room was a circular chamber filled with silver star-shaped balloons and fans, which was a hit with the kids. I acted out my inner five-year-old and had some fun tossing stuff around. 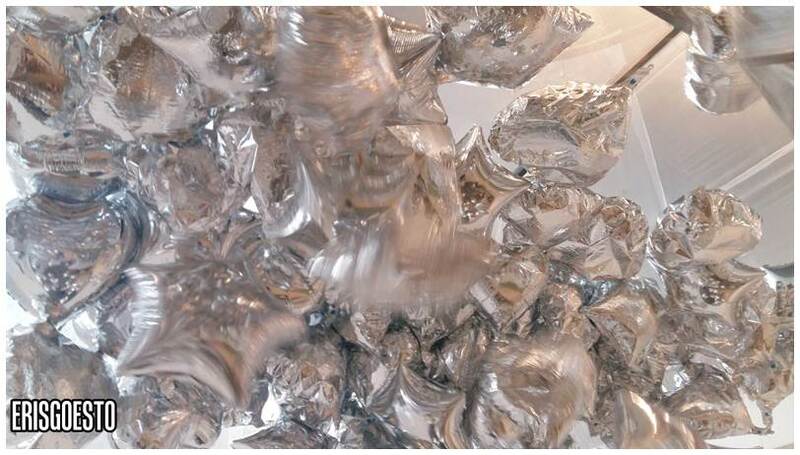 This piece is actually a tribute to Warhol’s Silver Clouds, which was the artist’s attempt to ‘float’ his boredom away by releasing balloons into the air. 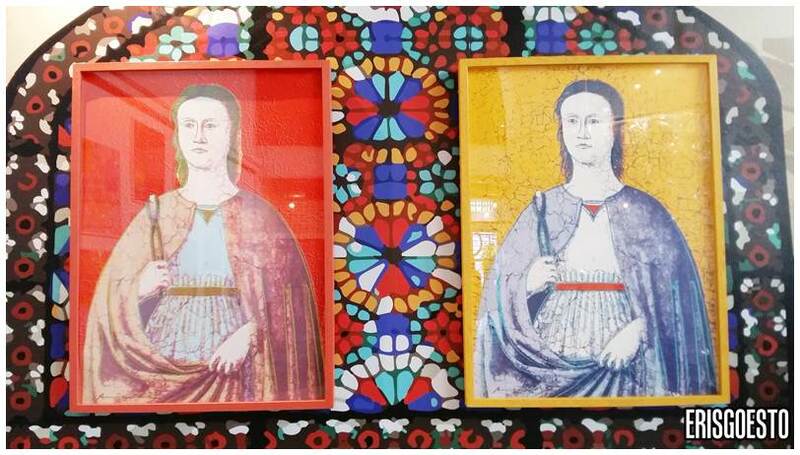 Warhol is also well known for ‘silkscreen’, a technique where mesh is used to transfer ink onto a surface, except in areas blocked by a stencil. 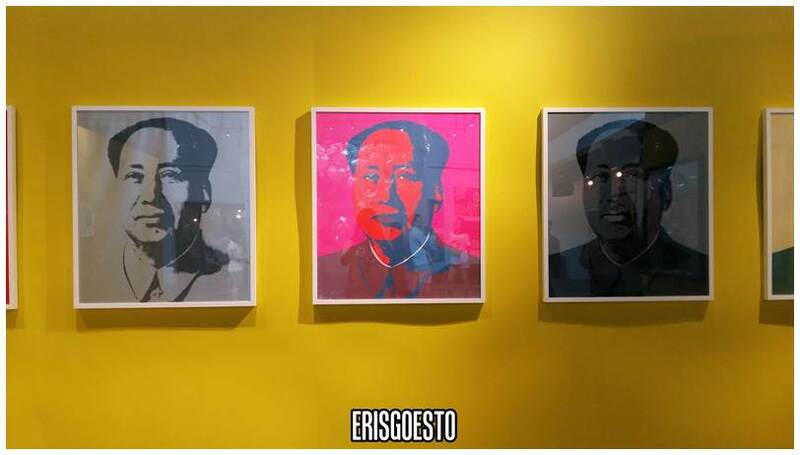 He would often use the same subject (such as Chairman Mao, above) and produce a series in different colours. The prolific Campbell’s Soup (1962) originally featured 32 cans, one of each flavour that the company was producing at the time. The series helped to redefine the public perception of what constitutes art, and is still prominently used as a pop culture reference well over 50 years later. 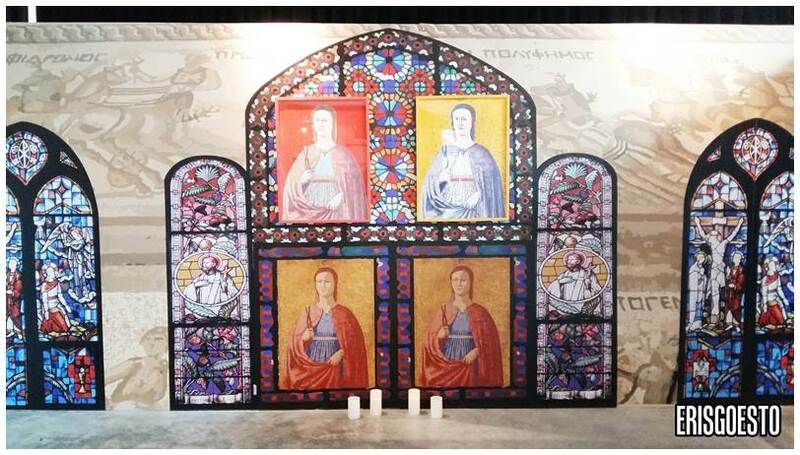 I don’t know what this is called, but it was done to look like a glass-stained window in a church. Interesting look at the works of one of America’s most iconic artists. 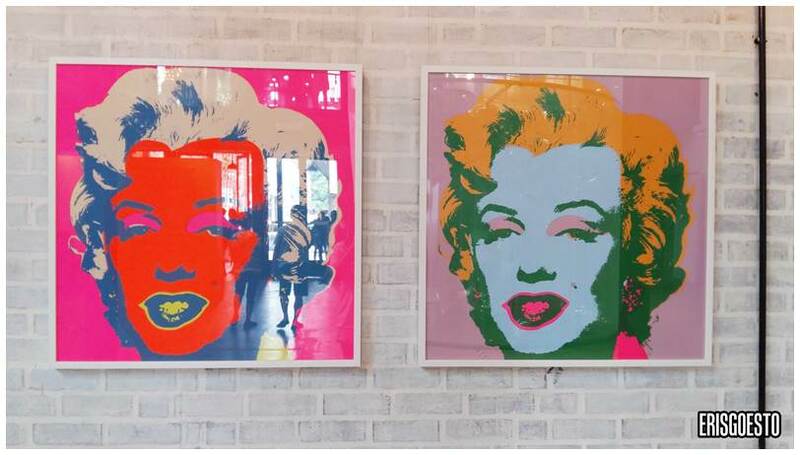 Warhol may be long gone, but he lives on in the arts and culture scene through his work, and will continue living for many generations to come as long as there are people out there to appreciate them.